Hey derby fans! 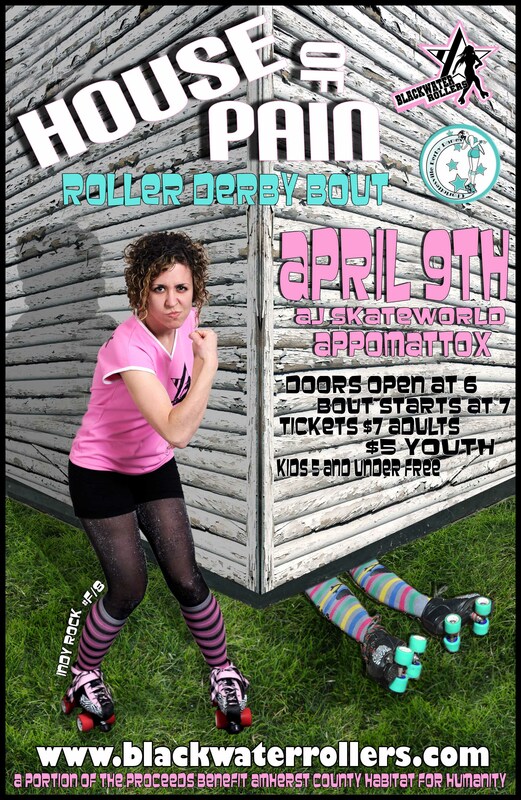 In less than two weeks we will be facing the Charlottesville Derby Dames! You’ve seen us play them before and know it’ll be a fast, action packed, hard hitting game! Lets just say this time last year when we played this team, a player was taken away on a stretcher! (We miss you Sofa King!) This is our last home bout until August as we will be traveling this summer, so if you have been wanting to come check out a game, do it now! We know by August you will be going through derby withdraw! You know the drill on time and place, but incase you forgot, check out our events page here. A portion of our proceeds from this event will be supporting Amherst County Habitat for Humanity. See y’all on the rink!